As many of us go back to normal life from the hustle and bustle of the holidays passed. Meanwhile, in China, the party’s just getting started! Chinese New Year brings hope and excitement to the people of China but it is very special. For fifteen days each year based on the lunar calendar, Chinese people all over the world celebrate, wishing for luck and prosperi ty while relaxing and spending time with friends and family. 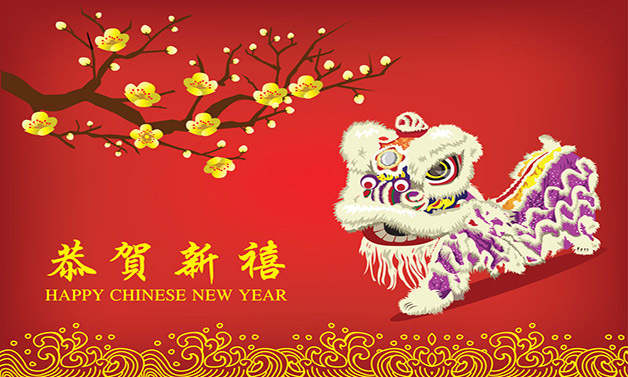 Chinese New Year (also known as the Lunar New Year) also celebrates the arrival of a new zodiac animal. There are 12 animals: dragon, snake, tiger, snake, pig, ox, monkey, horse, rabbit, goat, dog, and rooster. Every 12 years, these animals were used to date the years. 2017 happens to be the year of the rooster, but 12 years ago (as of this writing) the year of the rooster was previously in 2005, then 1993, and so forth. Some Chinese New Year traditions and rituals include cleaning up the house to sweep out any bad luck and welcome good luck into their sparkling clean homes. Other traditions include red envelopes with money inside, parades, and best of all, food! Many people eat foods like mooncakes, dumplings, and tea eggs! 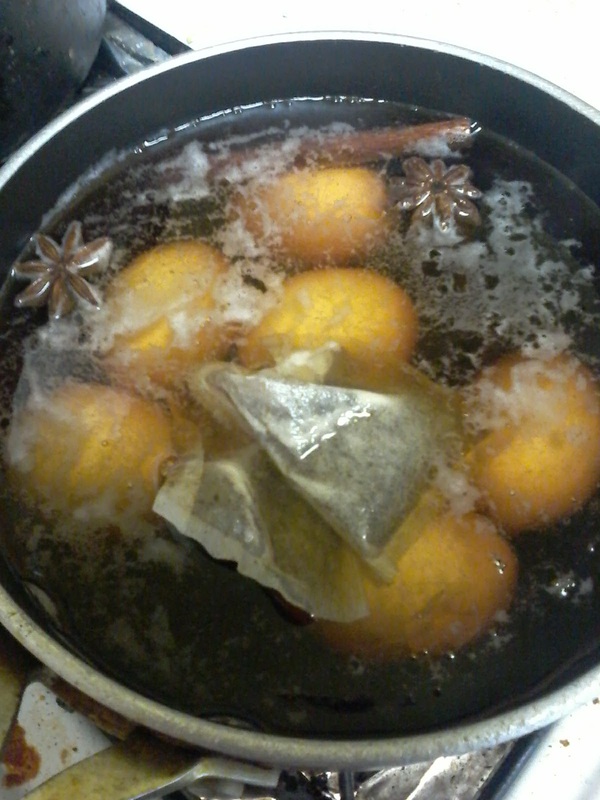 What are tea eggs? 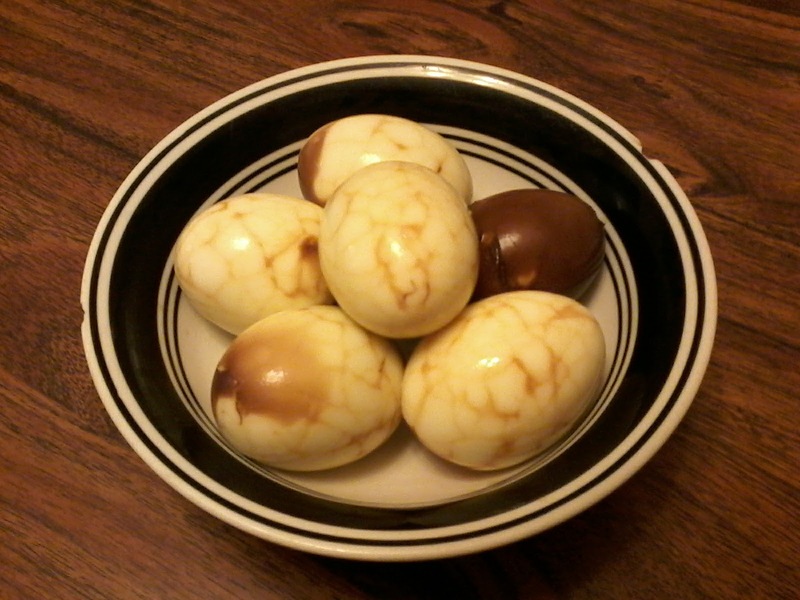 Tea eggs are simply hard boiled eggs that are cracked to make a marbled effect and then re-boiled in a tea and soy sauce mix. These are some of the most popular New Year foods for Chinese New Year. The best part is that these are easy to make at home and inexpensive! 2 bags of black tea, any kind you like. Pu-erh is traditionally used, but for my recipe/experiment I used Yorkshire Gold since gold is very symbolic in Chinese culture. It is a symbol of good luck and a color of the emperors. First thing to do would be to hard boil the eggs like you normally would. Once the eggs are cooled, tap on the eggs with the back of a spoon, creating nice, intricate cracks for the tea and soy sauce to seep through. 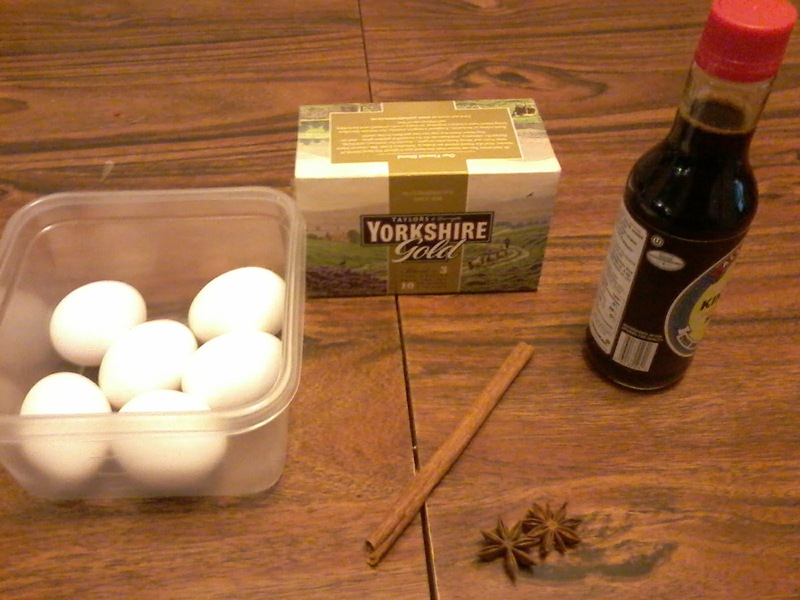 With the water that you boiled the eggs in place the teabags, soy sauce, anise, and cinnamon in the pan along with the now cracked eggs. Let the eggs boil in this mixture for about 20-40 minutes, or however you feel is best. Turn off the heat and let the eggs sit in the mixture for at least an hour so they can “steep”. The longer the eggs steep, the darker your marbled eggs will be. My eggs did not come out very dark since I had only let them sit there to steep for an hour. Pretty good for such little time. Enjoy these with traditional Chinese New Year foods or on their own for breakfast. They are excellent!